Anonymous (W.): Visit Lakeland poster – Lake Windermere. British Railways c.1953. 76 x 51cms. One 2cm & two 1cm marginal tears archivally repaired, spot at foot of W, spot on top margin, very slight loss lower left corner. Category: Travel Posters. 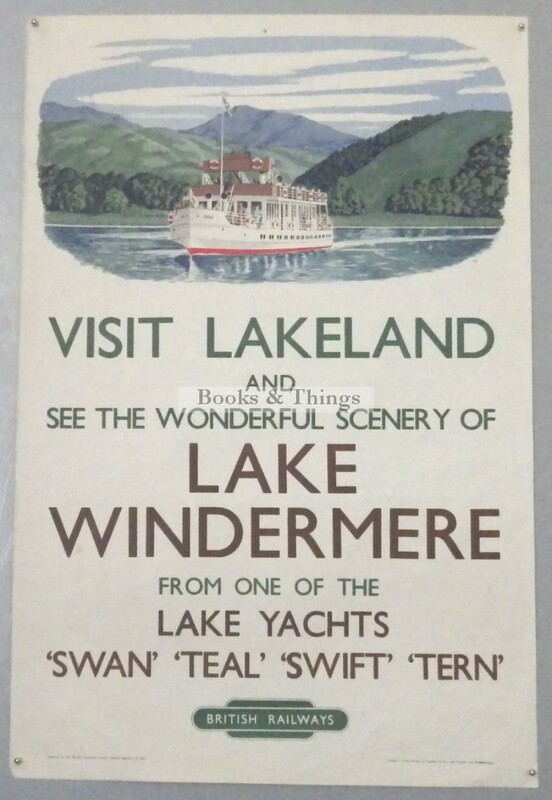 Tags: Lake Windemere poster, Visit Lakeland poster.